Dr.Divya Gupta at Department of Anaesthesiology and Critical Care, Maulana Azad Medical College, New Delhi, India, and colleagues have reported an unusual case of copper sulfate poisoning. The rare case has been described in the Indian Journal of Anaesthesia. It is a case of unusual alleged suicidal intake of copper sulfate crystal by a youth which could not be revived even after rigorous efforts of doctors. Copper sulfate poisoning is not common and as a result, many intensivists are unfamiliar with its presentation and management. Copper sulfate is a powerful oxidizing agent and depending upon the dose ingested, it can lead to widespread cellular damage. The systemic effects of poisoning are seen primarily on red blood cells, gastrointestinal system, kidneys, and cardiovascular system. 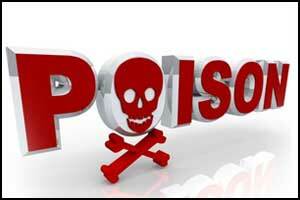 The ingestion of poison can be lethal in severe cases. The case describes a 26-year-old male, painter by occupation who was brought to the casualty with alleged suicidal intake of copper sulfate crystals of unknown amount 2 h back. He complained of abdominal pain and had three episodes of vomiting. He was conscious and oriented with stable vital parameters. He was started on intravenous (IV) injection (inj.) penicillamine, inj. ondansetron and IV pantoprazole infusion. On arrival in the intensive care unit (ICU), he had the pulse rate of 82 beats/min, blood pressure 116/70 mmHg and SpO2 90% on room air and 96% on venti-mask. Routine hematological investigations and chest X-ray were found to be insignificant. However, after 6 h, the patient developed breathlessness and SpO2 decreased to 75%. Arterial blood gas (ABG) analysis at that time showed pH 7.46, PO2 330 mmHg, pCO2 25.3 mmHg, HCO3 17.9 and SpO2 98%. Based on the disparity between SpO2 on the pulse oximeter and ABG, methemoglobinemia (methHb) was suspected. The high flow of warm humidified oxygen through the nasal cannula at a flow rate of 55 l/min and FiO2 of 70% was given. The methHb level was 11.4%. Methylene blue 100 mg was administered IV over 15 min and tablet vitamin C 500 mg 12 hourly was given. Inj. methylene blue was repeated after 1 h. After the second dose, breathlessness was relieved. However, SpO2 on monitor remained 84–85%. Adequate fluids were given to maintain urine output of approximately 1 ml/kg/h. He had episodes of melena; therefore, syrup sucralfate was added for gastrointestinal protection. At that time, the patient was maintaining satisfactory hemodynamic parameters and urine output. From next day onwards, the patient started having cola-colored urine with decreased urine output. Kidney function tests also started deteriorating. Urine routine microscopy and peripheral smear revealed signs of hemolysis and blood investigations showed raised serum lactate dehydrogenase and total creatinine phosphokinase levels. Urine output did not improve with fluid bolus challenge and as blood pressure of the patient began to fall; dopamine IV infusion was started. Haemodialysis was planned, but within a few hours, the patient became drowsy and his SpO2 dropped to 60%. The trachea was intubated and mechanical ventilation commenced. Repeat methHb level was 33%, so methylene blue was repeated thrice at an interval of 2 h each. Despite all efforts, the blood pressure and oxygen saturation continued to deteriorate. The patient suffered a cardiac arrest on day 3 of ICU admission and could not be revived. “In our patient, almost all organ systems known to be affected by its poisoning were involved. We did not investigate the plasma copper levels as the diagnosis was obvious by history and clinical examination. Also, as described by Wahal et al.there is no correlation between copper level and prognosis. If ingested poison is unknown, estimation of serum copper level is helpful for diagnostic purpose,” write the authors. Management of copper sulfate poisoning involves absorption reduction, chelation, and supportive symptomatic treatment. The absorption of toxin can be reduced by vigorous dilution with milk and water or by administration of activated charcoal. The doctors could not perform any of these measures in the patient referred to in this case as he was presented after 2 h and was already vomiting. The levels of methHb kept increasing in the patient despite administration of inj. methylene blue and ascorbic acid. The inadequate dose of methylene blue, G-6PD deficiency, NADPH dependent methemoglobin reductase deficiency can lead to failure of methylene blue treatment. More common in South India.